OEM Brother Rear Paper Guide - MFCL2700DW, MFC-L2700DW, MFCL2705DW, MFC-L2705DW by GenuineOEMBrother at MDA-MA. MPN: 4896555. Hurry! Limited time offer. Offer valid only while supplies last. Installation instructions are NOT included with this part! This offering is for a 250 page rear paper guide. This part goes into the paper cassette. Installation instructions are NOT included with this part! This offering is for a 250 page rear paper guide. This part goes into the paper cassette. This offering is for the paper guide as noted in the picture. 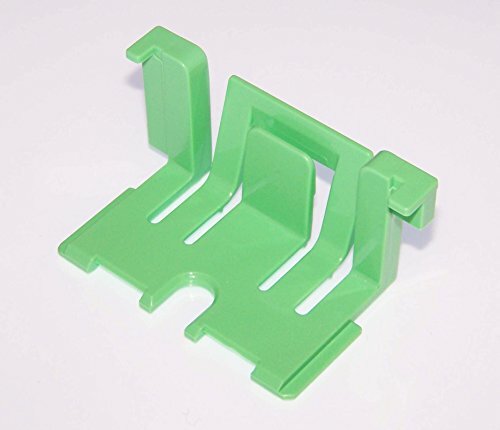 This guide fits into the 250 page paper cassette tray for the following Brother devices: MFCL2700DW, MFC-L2700DW, MFCL2705DW, MFC-L2705DW This item is NEW and a TRUE Brother part! Don't see your model number listed above? Send us a message as we are happy to help!